We’re currently doing an amazing Valentines Accommodation Deal for just £149.95. Spoil that special someone in your life with a delicious three course meal, a love heart foiled balloon along with robes and slippers in your room. 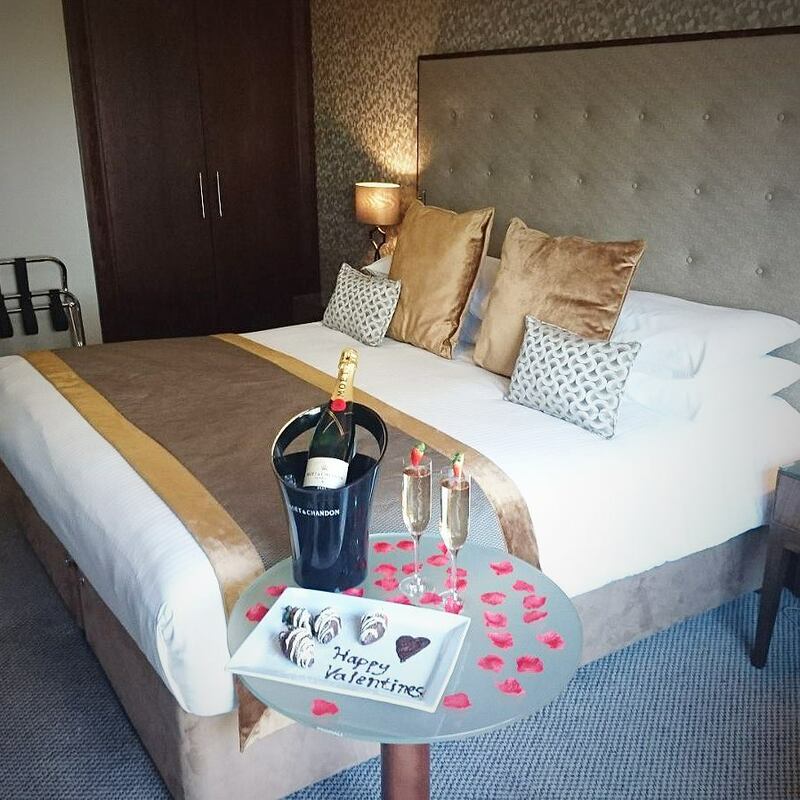 And if you really want to impress you can upgrade to our extra special Romantic Package, which gives you an additional bottle of prosecco, chocolate dipped strawberries, rose petals and towel swans on your bed! Perfect for injecting some ooh la la back into your relationship. Alternatively if you are looking to woo a potential new partner with dinner (or simply keep your current one happy), then why not book a table in Michaels Bistro and enjoy our Valentines Day Menu for only £49.95 per couple? We’ll also have Prosecco and a special Valentines Cocktail available for you and your loved one to enjoy – perfect for those of you looking to earn yourself some extra brownie points! So, have we won you over yet? Call 0141 639 9222 and book your romantic Valentine’s stay at Parklands today! (Accommodation offer available – 14th, 15th & 16th of February).